For her third concert as a headliner at the Oklahoma Jazz Hall of Fame’s Jazz Depot, popular vocalist Cynthia Simmons is stepping out into a whole new place. The idea for a show featuring the music of iconic performer and composer Nina Simone came about several months ago, Simmons says, during a conversation with Jazz Hall CEO Jason McIntosh. Now, however, after much research and study, she’s found out a lot more about the influential singer-songwriter-pianist. In 1958, her biggest pop-music hit, “I Loves You, Porgy,” from the Gershwin musical Porgy & Bess, was released by Bethlehem Records. It climbed into the Top 20 on the Billboard Magazine charts, which led to a contract with a bigger label and more visibility as a performer and recording artist. 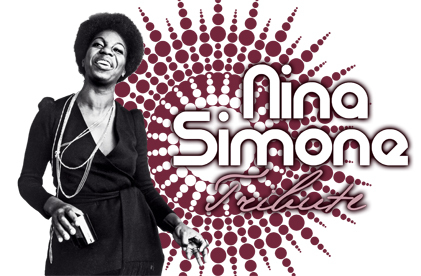 Although she never had another Top 40 hit, Simone recorded dozens of albums and became a popular performer, as well as an increasingly active participant in the civil rights struggles of the ‘60s and ‘70s. Her albums and live shows drew from a variety of sources, including blues, R&B, gospel, jazz, and the classical music that had begun captivating her as a child. In 2003, Simone died of cancer in her adopted country of France, where she had been living and working for the preceding decade. Her final studio album, A Single Woman, had been released by Elektra Records 10 years earlier. Along the way, she wrote and/or popularized a number of songs, including “Feeling Good,” “Don’t Let Me Be Misunderstood, “My Baby Just Cares for Me,” and “I Put A Spell on You.” Simmons feels that those last two numbers are especially important to have in the tribute concert, for which she’ll be backed by Jazz Depot stalwarts Steven Schrag on piano, Jordan Hehl on bass, and Nicholas Foster on drums. 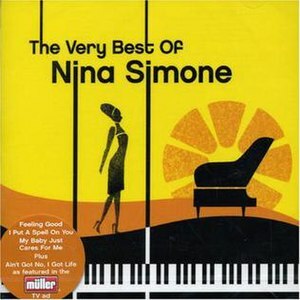 “Whenever I say `Nina Simone,’ people always come back with, `My Baby Just Cares for Me,’” says Simmons. “So I’m going to have to do that one, and `I Put A Spell on You,’ which is so identified with her. Of course, Simone was a wonderful singer as well, with a distinctive, low-register voice. That’s something the producer and star of Sunday’s show not only appreciates, but also welcomes. 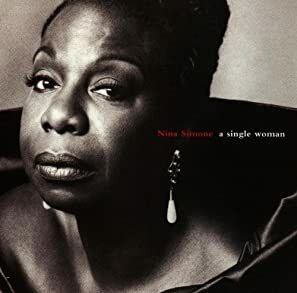 The Nina Simone Tribute Concert is set to begin at 5:00 p.m. Sunday, March 17, at the Oklahoma Jazz Hall of Fame, located in downtown Tulsa’s Jazz Depot, 111 E. First Street. Tickets can be purchased at the Depot or by calling Bettie Downing at 918-281-8609. General admission is $15, reserved table seating $20. Seniors and Jazz Hall members are admitted for $10, and high school and junior high students for $5. Refreshments will be available for purchase. The performance is a part of the Jazz Hall’s Spring Concert Series.